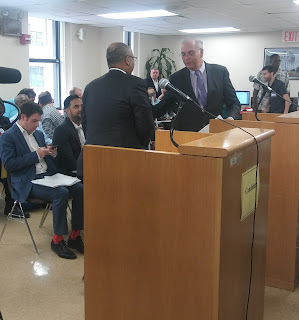 100PercentBronx: Primary Update - Who is on the Ballot? Primary Update - Who is on the Ballot? There was little suspense at the Board of Elections this morning when the 'Challenge Phase' of getting on the ballot was heard for the Bronx. Almost every candidate who filed petitions was placed on the ballot with enough valid signatures. The few exception were that of a few County Committee candidates, and the challenger to incumbent Assemblyman Jose Rivera. The Board ruled that Jose Padilla Jr. did not have enough valid signatures to be a candidate for the 78th Assembly District. As usual King Stanley Schlein, the Bronx Democratic County organization lawyer for the past up teen years was heard not saying his usual 'We will see them in court', but was heard speaking to another lawyer representing an opposing candidate 'make sure you bill your candidate for all the hours you will be working in the court'. In the afternoon at the courthouse (where no photographs were allowed to be taken) the excitement was that the challenge of the Sergeant John Perez petition was dropped. 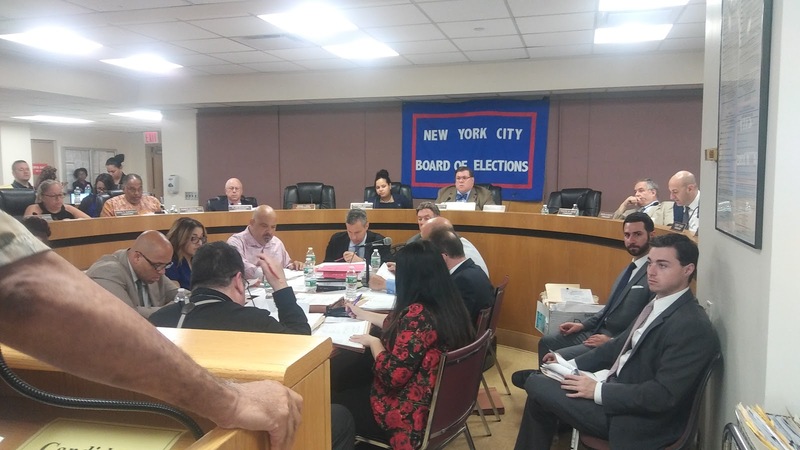 It seemed with all the other claims that the Board of Elections does not reule on Sergeant perez would still have more than enough valid signatures to be on the ballot for the currently vacant 87th Assembly seat. The other eleven court challenges will begin at the Board of Elections tomorrow at 10 AM, winding up next on August 9th. Labels: Primary Update - Who is on the Ballot? Where are the Republican candidates for office?